Divided into four sections; Bisexual Landscapes, Desire By Any Other Name, Representing The Middle Ground and A Place To Call Home, the book is clear in structure and the range of the text is carefully signposted throughout. The book shows a close reading of, and engagement with, a variety of issues in queer theory and lesbian and gay history. This range provides a mapping of queer and lesbian and gay literature and theory throughout the 1980s and 1990s as well as a focus on the cultural geography and history of community and activism over the same timescale. The first part ‘Bisexual Landscapes’ provides a history of US and UK analysis of bisexuality, defining these as histories and epistemologies of meanings, places and experiences. Hemmings is keen not to replicate the positions she identifies in other work but to build on other theorists and open up further space for enquiry. 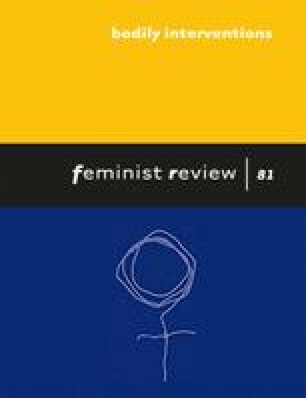 ‘I do not want to find bisexuality everywhere in the same form but look at its contradictory manifestations in a number of parallel arenas, including where it is not named’ (p. 36). She does this by drawing on such commentators as Merl Storr, Mariam Fraser, Jonathon Dollimore, Janice Williamson, Stacey Young, Jo Eadie, Shane Phelan and Marge Garber. This synthesis of theories and narratives provides an insightful and productive sense of mapping the arena of enquiry. ‘Desire by Any Other Name’ focuses mainly on the town of Northampton, Massachusetts and the organization of the Northampton Pride marches. This section provides a detailed history of these events, and identity debates within minority communities in the late 1980s until the mid 1990s. This section draws on the organization and documentation of community in Northampton and uses evidence such as march banners and observations about the organization of meetings, venues and other debates between organizers. Hemmings lived in this area and draws on her own experience of these communities. The other sections of the book are also supported by the experience and position of the author through a reflexive approach to methodology. The third section ‘Representing the Middle Ground’ is for me the most important section of the book. In this part there is a discussion of the links between bisexuality and transsexuality, which are presented in an original and thought provoking way. Unusually, for this kind of discussion, Hemmings avoids collapsing the conceptual framework of queer into the experience of bi and trans and maintains a sense of discrete but overlapping categories. In other words, by simultaneously bringing together and separating, queer theories on the one hand, and experiences of bisexuality and transsexuality on the other, Hemmings provides insights into the contemporary structuring of sexual identity. While commenting on this, she simultaneously provides a down-to-earth and clear mapping of the way that these identities, and the metaphors they become, are both deployed and experienced. Hemmings’ discussion highlights the demand within queer theory that bisexuality (and transsexuality) should have ideal queer meanings, and the tension that is created when this demand is resisted. In these observations and elsewhere in the book, Hemmings allows heterosexuality to appear within and as related to, queer and feminist theory. This is clearly a risky intervention but Hemmings does not simply flatten out power and make all identities share the same position, she very carefully unpicks where and how identity appears, and how it relates to community and subject formation. Hemmings’ prose is precise and is for the most part well structured. It is however, quite dense in places and long sentence structure can make sections hard to follow. This is unfortunately compounded by a couple of editing errors and this had me occasionally wondering whether my inability to draw a coherent sense of meaning, was to do with me or the text or the meaning! Overall the book is a valuable and insightful contribution to theories of identity and community and to cultural histories of sexuality and gender. It would make an exemplary postgraduate text and could be used to inform the work of researchers, activists and community and social movement historians. The mapping of the field and synthesis of a range of contributors makes it a text that could also be useful to selected undergraduate programmes.